This is the card and envelope I drew for my brother’s birthday yesterday. 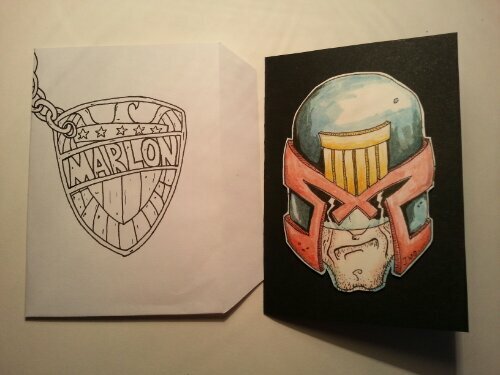 This entry was posted in Fan Art and Mash Ups, Greeting Card, Superheroes and Villains and tagged 2000, 2000ad, Badge, birthday, card, Dredd, Greeting Card, Judge, Judge Dredd. Bookmark the permalink.